First overall formula notes. 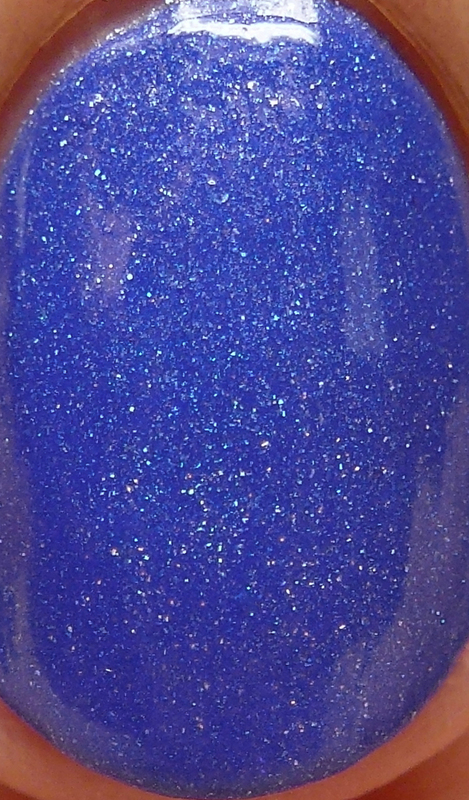 The polishes in this post are all scattered holo cremes, opaque in one to three coats depending on your polishing technique. They all dried matte/satin but I am showing them here with top coat. They don't completely self level, so even coats are best. Due to their strong pigmentation and creme finish the holo in them is scattered rather than in-your-face. Aruba is a light sea green scattered holo creme. I wore it in two thin coats. I had a few pigment specks in this, but nothing that was strongly visible at all. 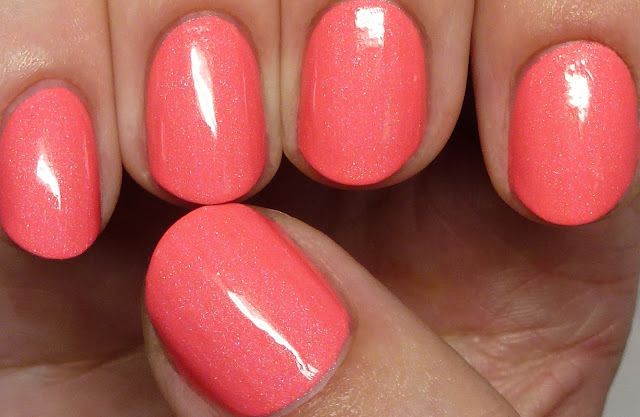 Bahama is a neon coral scattered holo. 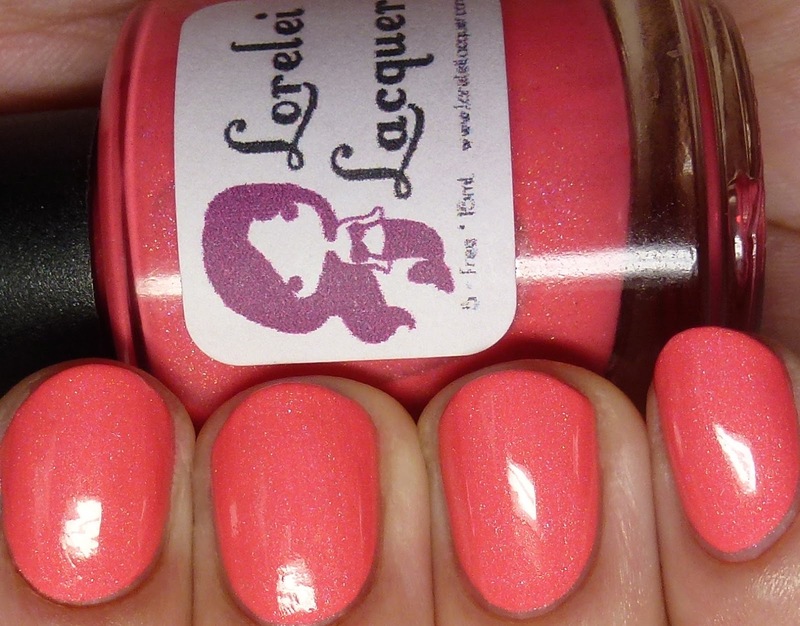 I wore this in three thin coats due to my pigmented nail beds, but one to two would be enough for most people. It definitely has a neon quality to it that is more apparent in real life. 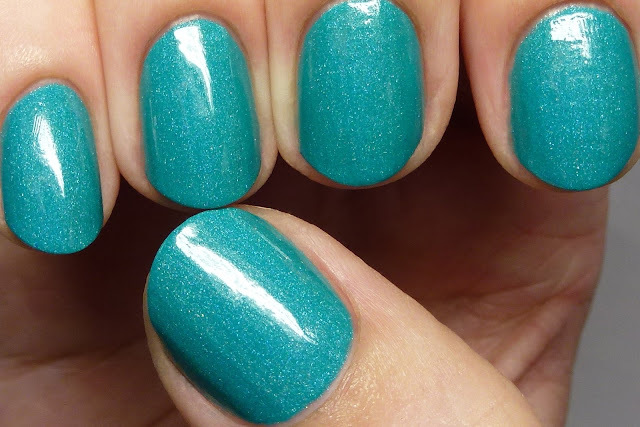 Bermuda is a Han blue scattered holo, worn here in two thin coats. This is a blue with a strong purple lean to it - so interesting! 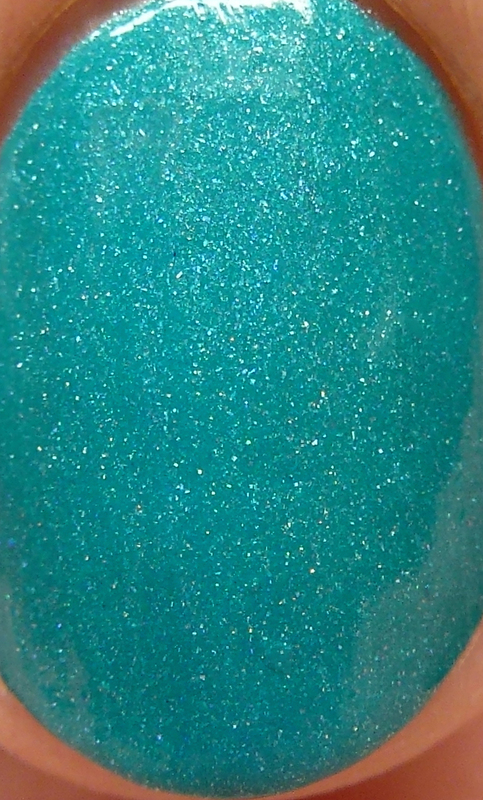 I had a couple of pigment specks again with this one, but nothing very noticeable. 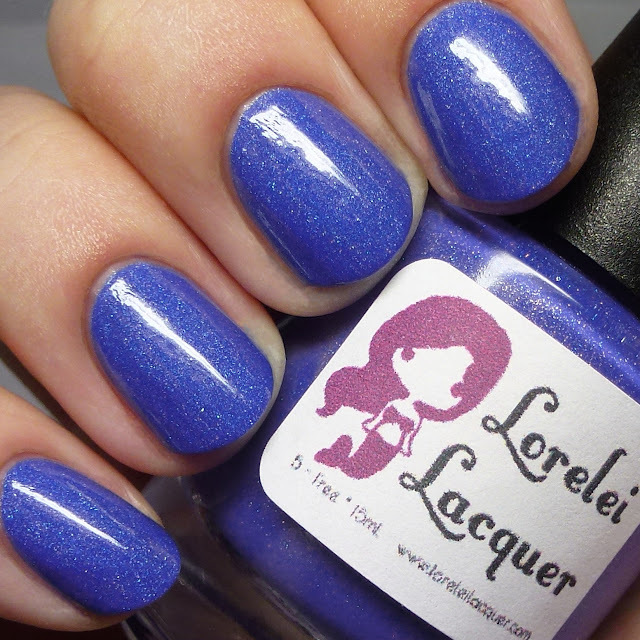 Of these, I definitely have a soft spot in my heart for Bermuda since polishes that lean between blue and purple are ones I always love. 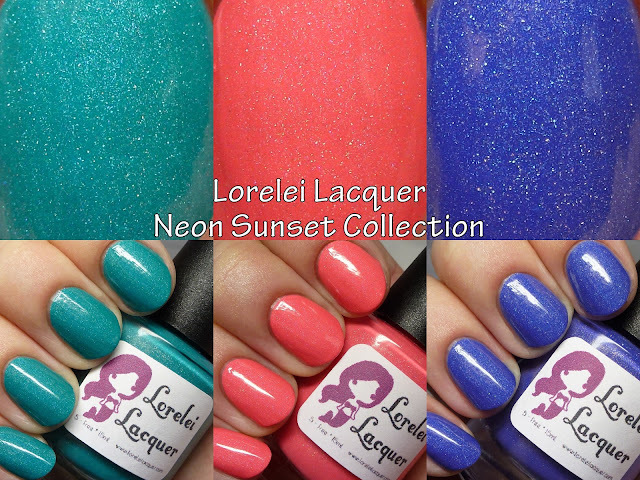 Be sure to check out the rest of the polishes over the next few days! (Part 2 here.) Also, if you want to pick them up, you can get 10% off with code Hippy10!